One of the most destructive forces on our course is in fact “man made.” No, we are not talking about the effects of humans on global warming, and the resulting La Nina super-wet weather. We are talking about irresponsible golf cart use, which can leave parts of our course deeply scarred for weeks, if not months. 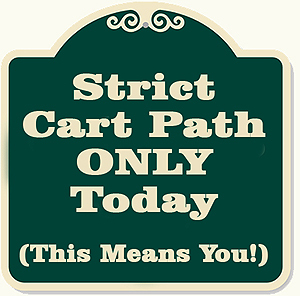 Working with the golf committee, head professional and golf course superintendent, a new cart path rule has been drafted, and will become effective immediately. 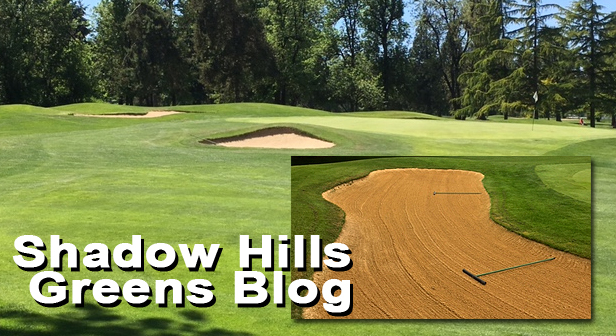 A “Modified 90 Degree Rule” has been added to our current standard 90 Degree Rule to take advantage of our firm fairways, while helping to protect less stable rough areas. One of the most important aspects of the new rule is to enter the fairway across the driest rough area available, and then staying on the fairway until your ball is on or near the green. You will then exit the fairway across the driest available rough area. It is important to remember that using a golf cart anywhere on our facility is a privilege, and that our course is one of our most important assets. For this reason, common sense and courtesy are to be used at all times while operating carts. A second storybook ending played out the 10th green of the Eugene Country Club moments after the Oregon men clinched their first ever NCAA National Championship. Hometown hero Sulman Raza paused to take a photograph with ten-year-old Gavin Henrikson, grandson of Randal Whipple. While doing so, Raza reached into his pocket and presented the winning golf ball to young Gavin. Raza had no idea just how much the gift meant to the boy. On Memorial Day weekend–two years ago–Gavin suffered a severe injury when a heavy log crushed his leg while vacationing with his family on the Oregon coast. The injury nearly cost Gavin his leg. Gavin’s made great progress following three surgeries and physical therapy, but his recovery has been painfully slow. Gavin had tired while walking over the eighteen-hole course with his grandfather. Sudden death meant there would still be a lot more ground to cover. Eventually, the pair found a strategic spot alongside a bunker on the 10th green where Raza would attempt his decisive putt on the third playoff hole. They were about thirty feet away when the ball dropped and the crowd exploded. Raza lingered on the 10th green not far from where he had sunk the championship winning birdie putt. The right moment presented itself and Gavin asked Raza if he could have his picture taken with him. Whipple had a sense that Raza may have made a decision he’d later regret and asked him three different times if he really wanted to part with such a personal treasure. Each time, the new champion insisted that he wanted Gavin to have the winning ball. 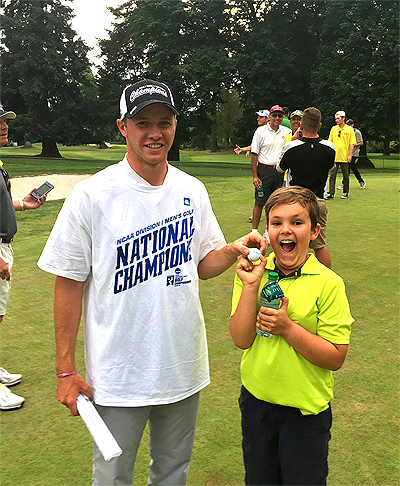 The Titleist golf ball bears a smiling Oregon Duck logo, and a blue line hand-marked by Raza to line up his putts. It now also bears the new champion’s autograph. It’s a keepsake and memory young golfer Gavin and his grandfather will always treasure. 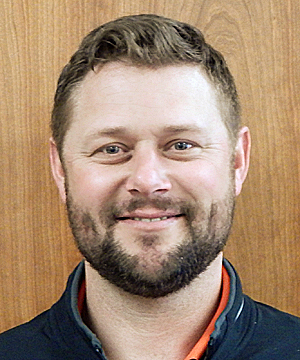 Our new Course Superintendent, Ryan Wycoff, has a new address for his regular blog. 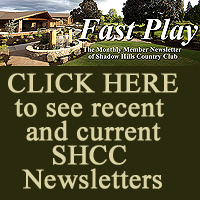 It is a wonderful place to take a look at the latest news about course updates, greens, and other projects here at Shadow Hills Country Club. In the future, we may be placing information on ShadowHillsExtra that we don’t want visible to the general public. This information will be password protected, using the same pass code we use for the locker rooms. If you have forgotten that code, please email us, and we will send it to you. This will be used very rarely, but is a needed feature to be able to share information, but allow us to make it a “members only” post. Thanks for your support and consideration. 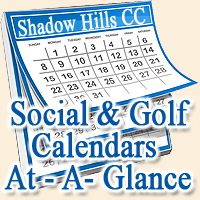 Email us at shadowhillsextra@gmail.com if you need the pass code information. Those who opened the November issue of Pacific Northwest Golfer Magazine this month saw that the PNGA Players of the Year were announced. Our own Leilani Norman was awarded the Senior Women’s Player of the Year. Congrats on a great year, Leilani! Click “Read More” to see the full article from PNG Magazine. Our very own Leilani Norman was featured in an extensive article in the Register Guard. 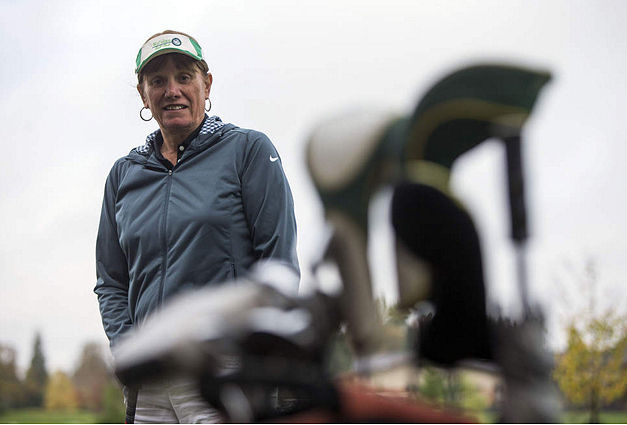 Showcasing her amazing rise from “part-time recreational golfer” to someone who is a “competitive force in the seniors division of Oregon women’s amateur golf,” Norman’s trajectory is a great lesson on practice and determination! Congratulations on a great story. We know this is only the beginning! Click Below for the Full Story!